Winfield Ware Dragon Flower 10.5in. 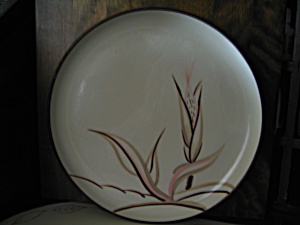 Dinner Plate,handcrafted cream colored with Pink,Tan and Brown design. Very good condition,no chips or cracks. Made in the USA at Santa Monica Calif.Price is per plate.